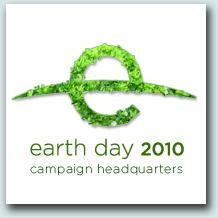 I know this is kind of late in the game, but Earth Day was April 22nd. And, I don’t know about you, but I care about the earth. I’m not a tree-hugger or anything, but I’d like to point out this event because I think it’s important we take care of our planet and just try to contribute to the “green” revolution because eventually we’re saving this place for our kids. Since the “green” revolution many companies have hopped on the bandwagon in trying to support the cause. You basically hear about being “green” or going “green”at least once a week. On an individual level there’s small things you can do in order to “minimize” your carbon footprint. And, since this blog is about beauty and women, let’s name a few products out there that are getting “green” for a cause. Their website has an interesting post about lipstick. Think about how many times you apply it a day. Lead in lipstick? Turns out, the ur­ban legend is true. In October 2007, the Campaign for Safe Cosmetics tested 33 popular brands of lipsticks at an independent lab for lead content. The results: 61 percent of lipsticks contained lead, with levels ranging up to 0.65 parts per million. Rather than scouring every label, you can also choose a cosmetics company that has signed the Campaign for Safe Cosmetics compact and uses certified organic and natural ingredients. Have you ever gone to a nail salon and wondered, “what is that horrible smell?” You’re probably inhaling some pretty unhealthy chemicals from the actual nail polish, nail polish remover and the acrylic used on fake nails. Fake nails, are so 10 years ago anyway. They ruin your nails and in my opinion always look fake. Girls should work on strengthening their natural nails for a healthier and better look. The good news is that some nail polish manufacturers have reformulated their products to remove the “toxic trio” of ingredients: dibutyl phthalate, formaldehyde and toluene. Although we really like OPI, not going to lie. We want to try Priti Polish. Created by New York City’s first organic spa. They also carry some non-toxic nail polish remover. Priti Polish! 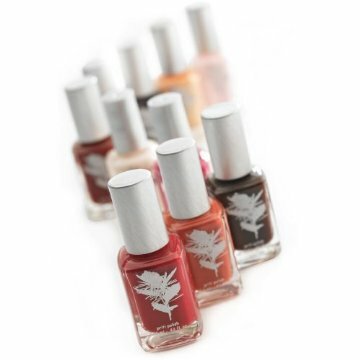 According to the Campaign for Safe Cosmetics, the three leading nail polish companies, OPI, Orly and Sally Hansen, removed three of the most toxic chemicals from nail polish – formaldehyde, toluene and dibutyl phthalate – due to pressure from the Campaign for Safe Cosmetics. When it comes to hair, good products do make a difference. Aveda is one of those brands that has long held a reputation for being pure, natural, safe and environmentally friendly. 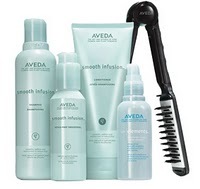 After all, Aveda brands itself as “providing beauty industry professionals with high performance, botanically based products that would be better for service providers and their guests, as well as for the planet.” Some of my friends really like Aveda and I’ve consistently using it now for a couple of months. I do love most of their products, the only thing is that it can get expensive and there has been some debate on how really “green” they are. My favorite is the Clove Shampoo, Smoothing Shampoo, Smooth Infusion, Air Control Hair Spray and the Glossing Straightener. All of these make my hair feel really clean and light, but I really don’t know if there are parabens in these products. I guess it doesn’t hurt to do some digging around. What do you think? Ever since Estee Lauder bought them out, their product’s ingredients have changed. Another friend, Joetta Harris ( a very knowledgeable lady in all senses) told me about Carol’s Daughter. They have a line of hair, body, skincare and fragrances. Price started developing fragrances for herself in her Brooklyn kitchen while she worked behind the scenes on The Cosby Show. She was soon producing and bottling fragrances and body lotions and selling them from her home, and in 1993 she started selling at flea markets. I have never tried these products, but I have seen them on Oprah and have heard great reviews. Carol’s Daughter’s fans include celebrities like Jada Pinkett-Smith, Shaka Khan, Oprah & Brad Pitt?? Or so their website says. Not that anything that is endorsed by a celebrity is actually a “good thing.” If you’ve had a good experience with these products let me know. 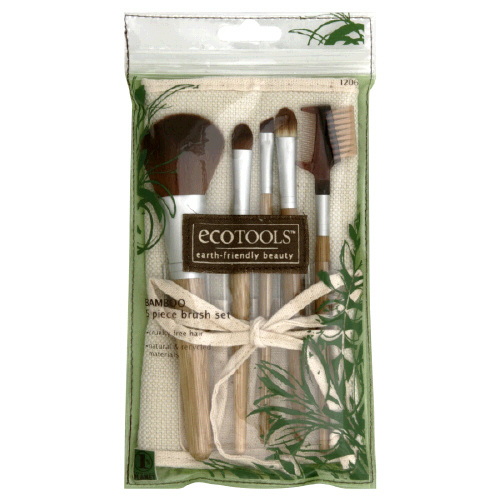 ECO TOOLS- Makeup Brushes. “Earth-friendly beauty” is their tag-line. One of our MUA contacts, Kelly Oswalt of RedCarpetReflection.com, told us about these. I have to say, I think I actually own a few of these brushes! I just never knew they were green. So, happy points for me. The handles of these tools are made from sustainable bamboo, which is very fast growing. The brush hairs are made from Taklon, which is a synthetic material and are naturally cruelty free. Even the pouch has been made from a blend of cotton and hemp. Plus they are inexpensive, I believe they carry them at Target. EcoTools has joined with 1% For the Planet® to donate 1% of annual sales to environmental organizations that create a healthier place to live. We recently made our annual donation. Click here for the press release and to learn more! You can use this list to start off your “green” adventure into beauty products. Or, tell me which ones you love and why. Would love to hear what you have to say. Remember, that ever little bit we do to help the environment helps. Now, I sound like a cliche, but it’s the truth. Why not start with some nice healthy beauty products you’re already using anyway.